MONSTER BASH 2017 - 20th Anniversary - DVD The 20th anniversary MONSTER BASH CONFERENCE highlight documentary. Digital Solutions roamed and recorded video through the 2017 conference. Capturing the fun and excitement. 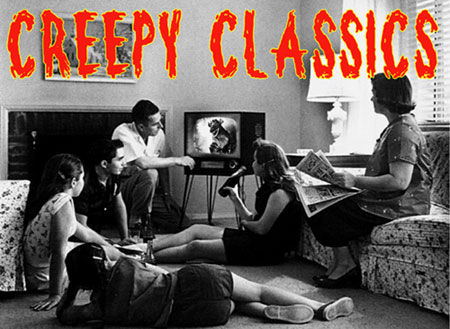 Guest interviews with Gary Clarke, Gary Conway, Ricou Browning, Terry Moore, John Russo and many more guests along with YOU, the fans of classic monster movies. Relive or experience what the MONSTER BASH is like. Approximately 90 minutes of clips and highlights. HOW TO MAKE A MONSTER BASH (2017/Special Interview) - DVD In June of 2017, actors Gary Conway and Gary Clarke reunited, for the first time, since the making of the film HOW TO MAKE A MONSTER (1958). See the reunion and full length interview here! They clicked immediately as if they have never missed a beat. Their question and answer interview quickly turned into a fun, loving comedy show of memories and jabs. We are so proud and honored to have hosted these amazing talents. Gary Conway currently owns a respected winery in California and is an artist, musician and actor, Known for BURKE’S LAW and LAND OF THE GIANTS. Gary Clarke is a writer, comedian and actor. He scripted GET SMART television episodes under the name C.F. L'Amoreaux . He starred in THE VIRGINIAN on TV as well!